Unique design play/gym mat to keep your baby engaged. 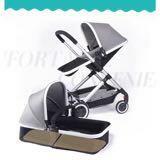 Help you baby to develop his eye sight, coordination. It also help baby keep engaged on tummy time. Longer and joyful tummy time Great gift idea for new baby..... Help baby build their neck and back muscle. Prevent stomach discomfort and bloating Being a registered midwife I will highly recommended parents to buy playmat for babies This play mat have high quality attractive rattles in bright colour. All rattles can make sound which will attract your baby and help them engaged.